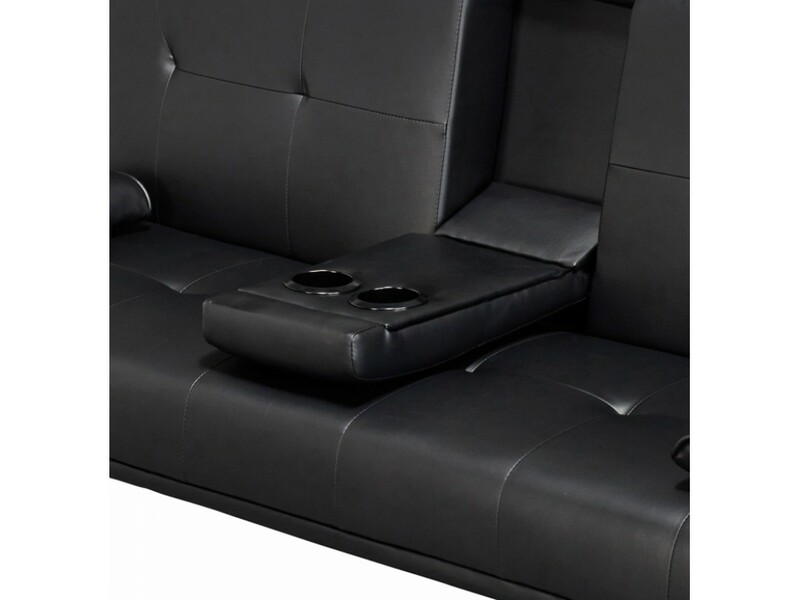 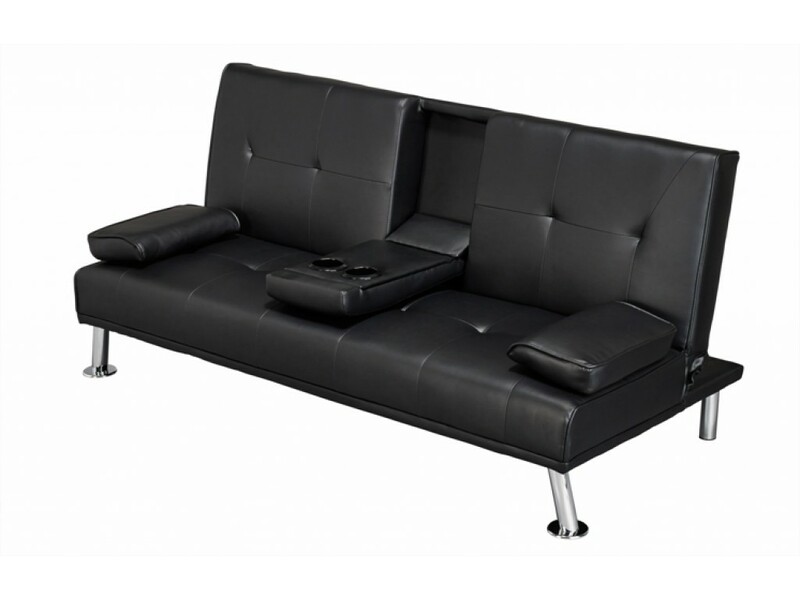 The Luciana Cinema sofa bed is the perfect sofa for a movie night in, offering a trendy and cool seating space, with its pull down drink holder and optional pillows the Cinema sofa offers everything you need to sit back, relax and enjoy the movie. 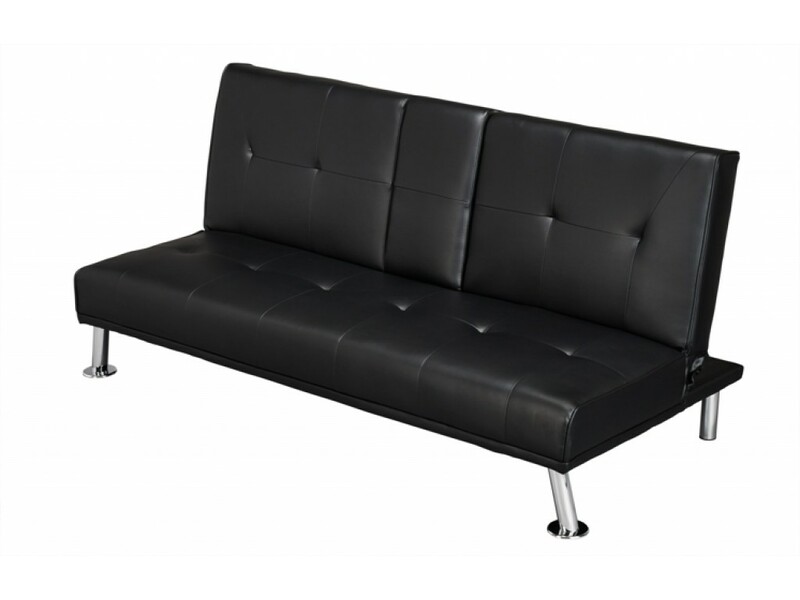 The sofa is made from high quality black PU leather and chrome finished legs. 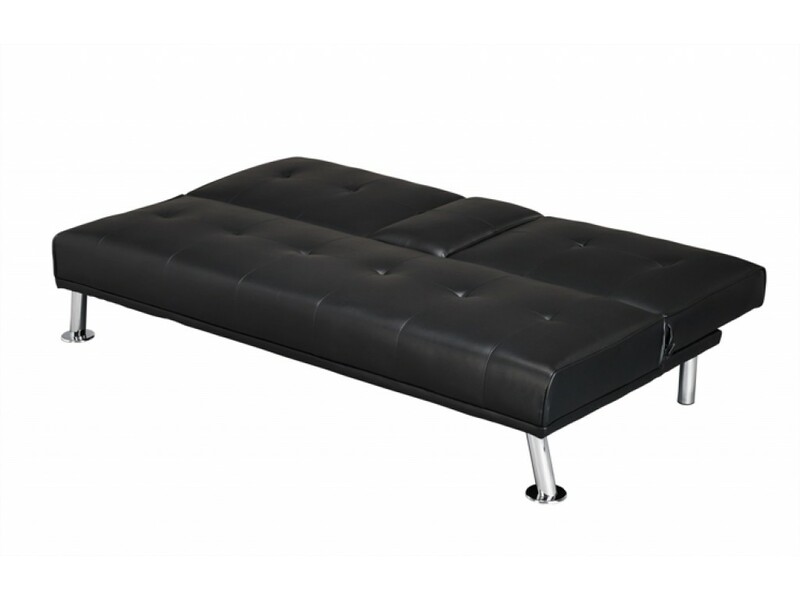 The sofa uses a clic-clak mechanism to fold the back rest down in turn it into a bed, the ideal solution for when guests come over to stay. 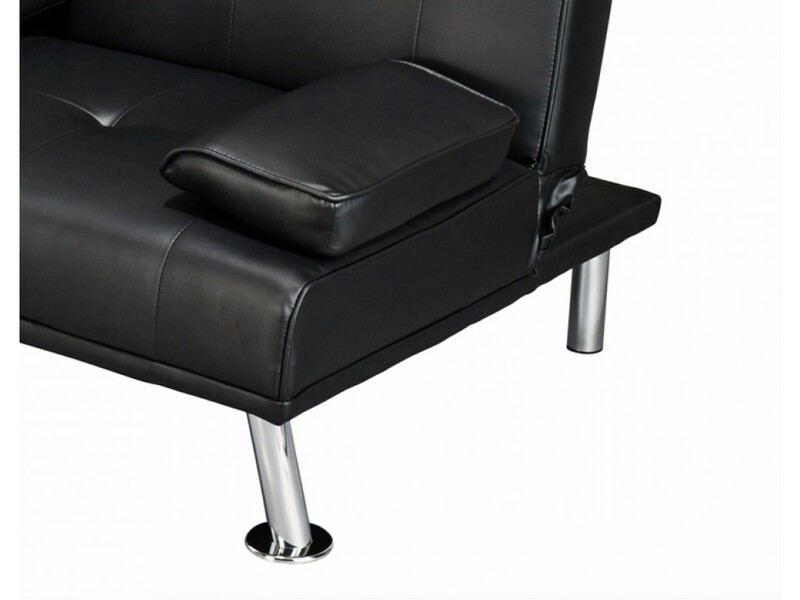 All deliveries to England, Wales and selected areas in Scotland will be done via our national courier delivery service, all other areas please contact us or see our Delivery Term & Conditions for more information. 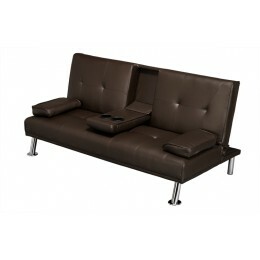 Luciana Cinema Fold Down Sof..